Dubai, UAE, March 19, 2019: Mother’s Day is just around the corner, and if you haven’t checked off fast-racking your way to your mother’s love, it’s time to grease the wheels- we’ve got you covered! Sure, chocolate and flowers may be a thoughtful cliché, but no gift shows more gratitude to the strenuous full-time job of motherhood as much as one that says: “Here’s some me time, pamper yourself”. 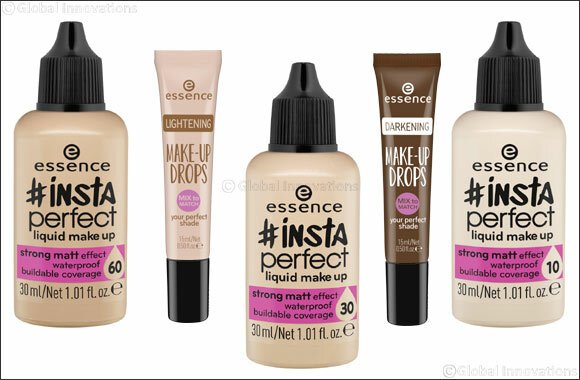 The insta perfect liquid make up is ideal for busy mom’s! It’s practical packaging means it can fit into any handbag, its bendable consistency makes it super easy to apply and its coverage ensures a flawless complexion. Every woman’s always on the look-out for a lipstick that checks off all three p’s: practical, pigmented and pink! Mom’s especially seemingly have lipsticks that last a lifetime. The velvet matte lipstick from essence is the perfect every-day product that does just that. Opt for a natural toned shade such as “01 donuts go nut” for a simple, elegant and feminine look.